Getting the best drill bit set is definitely a big challenge whether you’re a simple DIYer or a professional handyman. Why? One of the reasons is there are so many drilling tool brands in the market and you might get confused which one you really need for some specific work. Another significant thing to consider is your task requirement. What you really need to make things done is an important factor to choose the right drill bit. Well, I found that drill bits constructed with cobalt are suitable for hard drilling. Cobalt is a relatively abundant element which is found on earth. It is also extracted from nickel and copper. It is widely used with stainless steel in creating machines such as generators. It acts as an ideal coating to some metals to achieve the desired hardness and resistance against corrosion when there is the presence of oxygen. Now, when it comes to cutting or boring on materials such as stainless steel, iron, and other abrasive materials you need something that is really sharp or could be sharpened. I already know about Cobalt. Take me to the Reviews! Cobalt is said to be just a little harder and more resistant to scratch than titanium. It can be harder than steel which actually adds to the sturdiness and durability of your drill bits. It can also withstand heat or high temperatures without losing its sharpness, especially when drilling on metals. So, drill bits constructed with cobalt possess the aforementioned properties of cobalt. There are different cobalt drill bit sets you can choose from. Buying the best set would always depend on your preferences as well as your project requirements. This article lists down four best cobalt drill bit sets that will probably be your reference to an ideal tool choice! If you are looking for an innovative and smart set of drill bits, CO-Z step drill bits set could be the answer. It is designed to make things simpler and easier. There are only 5 pieces drill bits in a set but the sizes range up to 50 individual drill bits. It saves you a lot of trouble and space. It is perfect for home and commercial tasks. The CO-Z drill bits set are constructed with cobalt steel and titanium coating. It is said that cobalt helps reduce friction which means less heat. Another interesting thing is CO-Z HSS drills on hardened metals because of its double cutting blades. So the bits are pretty sharp. This high standard ensures durability and outstanding performance for your long-term use. The bits will definitely stay shiny and new for many years. So it is always a good idea to mark the spot before drilling for efficiency and improving drill bits life. The two-fluted design provides faster and smoother cutting of holes on steel, metals, aluminum sheets, wood board, plastic board, etc. 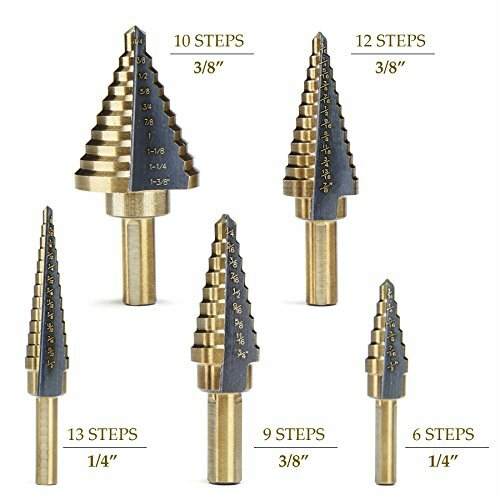 Non-walking drill tip provides users easy drills on these materials but it is important that the board is smaller in thickness than the height of step drill bits. 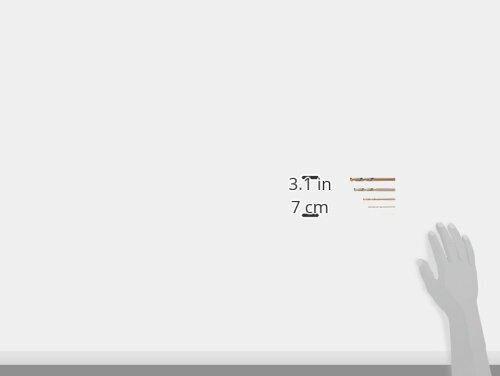 The different sized shanks are significantly compatible with 1/4, 3/8, and 1/2 inch chuck sizes. Another relevant part of the design is the 3-sided crank which is very useful in preventing bits from slipping or wavering and falling off the chuck. In case you drill holes on thin sheets of metals, it is advisable to use smaller drill bits as it saves effort and prolongs the use of your the drilling tools. Apparently, the smaller bits are relevant for very thin sheets while the bigger bits are designed for relatively thicker sheets. There are always some problems we might encounter with any metal drills. One of which is the tendency of getting dull with time and frequent use. The CO-Z drill bits makers found a solution to prevent this hassle. They added more protection by providing a tough aluminum case. This portable case is strong and perfect for safe storage. It is such a perfectly-organized box which makes storage, organization, and transport much easier. 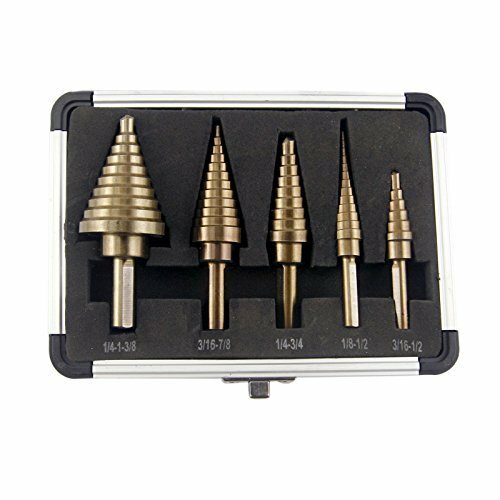 The CO-Z 5pcs HSS Cobalt Multiple Hole 50 Sizes Step Drill Bit Set with Aluminum Case is truly a must-have for DIY lovers and HVAC professionals. The Irwin Cobalt M-35 Metal Index Drill Bit Set includes 29 piece drill bits ranging from 1/16 to 1/2 inch in 1/64 increments. The outstanding feature is the super abrasive resistance in drilling through rough or hard metals since the bits are made from M-35 5 percent cobalt. It means they are constructed from cobalt alloy and industrial high-grade high-speed steel. They really do a great job driving into harder bolts. The strength and durability of cobalt steel bits extend and maintain the cutting edge after being sharpened. That ensures you that you could finish any hard material task. There is a 135-degree split point tip which starts drilling on contact, cuts with less force and minimizes walks. The reduced shank design above the 3/8-inch point allows you to use a larger drill bit in a 3/8-inch chuck. Selecting the right bit is made convenient using the tap and drill selection chart. This makes an automatic indexing for easy access and identification of bits for your project. The durable rubber overmolded case protects against damage from accidental dropping. You can also easily remove the bit cartridges and carry them to your worksite. Bits inserts are made from plastic and can wear after a long use. The bits get dull and need to be sharpened. Lubricating the drills is needed so they won’t break. Number of Bits: 29 pcs. The Irwin Cobalt M-35 Metal Index 29-piece Drill Bit Set is an easy choice for heavy-duty drilling. This set is ready for any job you might have to do because it contains the most common drill bit sizes that you need. In other words, this is a complete package to make your work done. The range of sizes gives you convenience so you don’t have to run to a shop trying to buy a particular size of drill bit to use. It’s all here in your case. 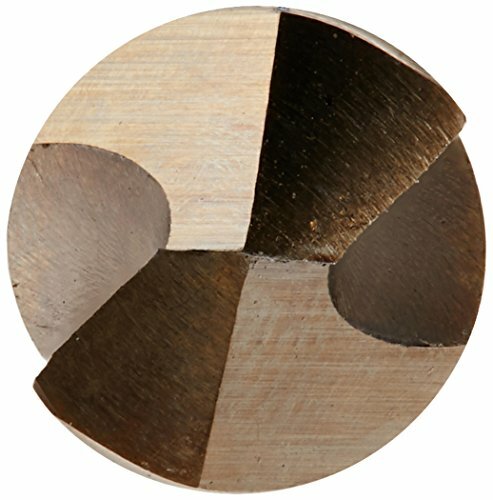 What are cobalt drill bits used for? Well, The drill bits are precise and reliable for ripping through rigid woods, plastics, and even metals. Their split tip design eliminates surface scarring walk at first turn so it makes your job really easy and fast. The 21 drill bits are made from cobalt steel making them really tough and can handle any solid work pieces. These bits are definitely designed for heavy duty. Another great thing is everything you need is in this all-in-one set so keeping the bits according to their sizes is not a hassle. The plastic box is so tough keeping the bits in place while you’re traveling. The bits do not have side notches for better grip but ensure secure grip if steady pressure is applied. Number of Bits: 21 pcs. This cobalt drill bit set contains 21 pieces of drill bits of different sizes which includes 1/16, 5/64, 3/32, 7/64, 1/8, 9/64, 5/32, 11/64, 3/16, 13/64, 7/32, 15/64, 1/4, 17/64, 9/32, 19/64, 5/16, 21/64, 11/32, 23/64, and 3/8 inch bits. 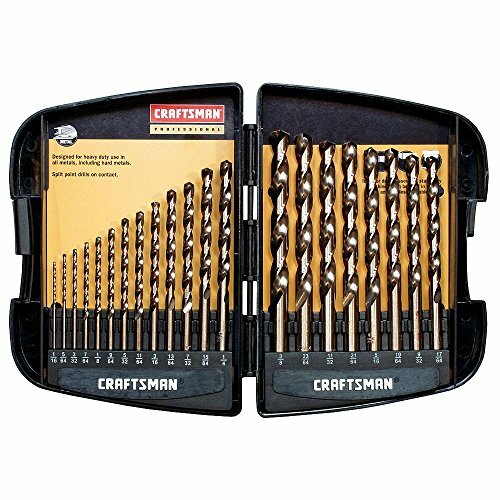 This CRAFTSMAN professional 21 piece drill bit set is ready for any range of sizes for ripping and cutting. These cobalt drill bits are designed with versatility and super abrasive resistance in drilling through tough metals. The bits have a 135-degree split point for reducing feed pressure for easier penetration. They are definitely durable and can extend and maintain cutting-edge life after reshaping. Reduced shank above 3/8 inches allows using larger bits in 3/8 inch chuck. Irwin 15-piece drill bit set has a protective case for storage. The case rubber edges protect the components from dropping. It has case latches for security. The included measurement list in the case makes organizing easier. Could build up heat and friction when drilling into the extremely hard surface but lubricating the bits minimizes this drawback. Number of Bits: 15 pcs. These drill bits are made of 5% cobalt and have a black oxide finish. The box contains 15 pieces including two 1/16, one 5/64, two 3/32, one 7/64, two 1/8, one 9/64, one 5/32, one 3/16, one 7/32, one 1/4, one 5/16 and one 3/8 inch drill bits. This IRWIN 15 piece Cobalt Drill Bit Set a versatile set that allows you to create different-sized holes in all sorts of metals. After going through the reviews, you must have understood the different things you should consider when buying a drill. All the upper-mentioned products are made with cobalt and are almost similar in terms of durability and efficiency. So the other things you need to ponder are the number of drill bits in a set, the availability of the sizes, the drill bit type or design, and what fits your budget without the quality being taken for granted. Well, the first product Craftsman drill bit set has a reasonable price with 21 drill bits. 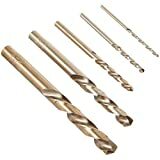 Its split point drill bit design is useful not only to metals but also thick wood and hard plastic. 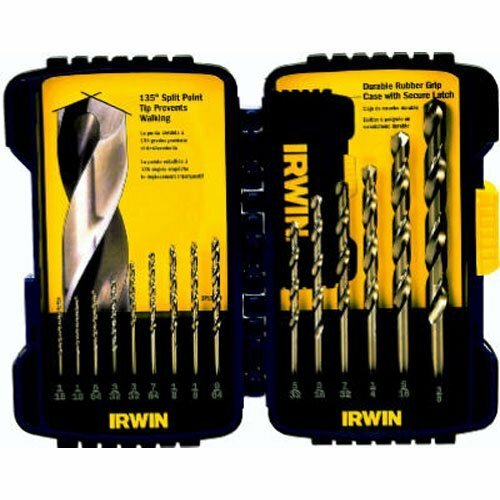 The Irwin industrial set with 15 pieces drill bits is the second cheapest of the four. It has 135-degree split point for easy drilling and can last longer. The most pricey so far is the Irwin metal index drill bit set containing 29 individual drills. It is mainly because it is made from M-35 industrial high-grade high-speed steel and can drive into harder bolts. It goes with a durable rubber case and removable cartridges. The best-selling drill bit for metal is actually the CO-Z. Why? Well, this product is fairly cheap, but its low price doesn’t mean the quality could be underestimated. Not at all. It is as sturdy as the other products because of cobalt plus it has titanium coating. It has double-cutting blades for hardened metals and having a step drill type saves space and trouble. I highly recommend CO-Z step drill bit set because it has a lot of size choices in just 5 individual drill bits which is very economical. But, if you are not comfortable enough using a step drill bit, you can have the Irwin metal index drill bit set with 29 piece drill bits. It is also a wise choice. It is always advisable to be a smart buyer. So, kindly consider this reference the next time you drop by a hardware store to pick the best all-in-one drill bit set for your project.